After slaying the trivia competition all week, former Runaways bassist Jackie Fuchs' stint as the Jeopardy! champion has come to an end. Fuchs was eliminated last night (December 20), after getting the "Final Jeopardy!" 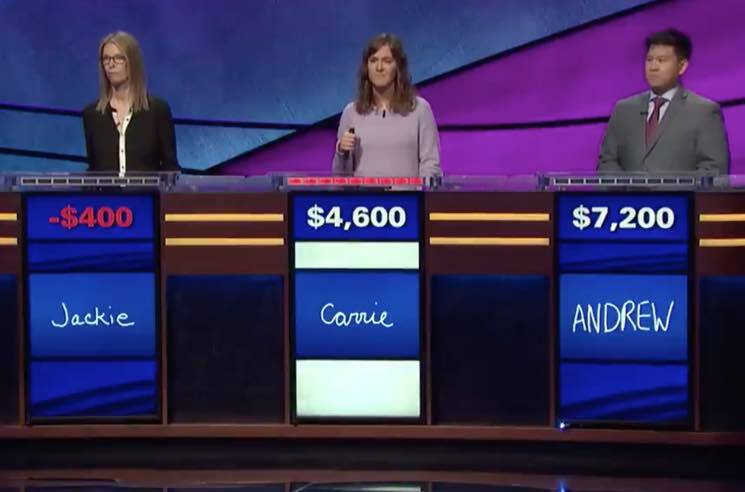 question wrong — though, ironically enough, another contestant had already run away with the lead prior to the final round. Despite citing classical music as one of her strongest categories, neither Fuchs nor her two fellow competitors was able to come up with the correct response to an answer about Mozart's final composition (spoiler: it was "Requiem"). Nevertheless, Fuchs seemed to be in good spirits, encouraging her fans to watch tonight's "epic game," even though she won't be on it. Even though I'm no longer on, be sure to watch @Jeopardy tomorrow night. I was there for the taping and it's an epic game. Plus a truly great contestant interview. Prior to last night's loss, Fuchs had won four games in a row and earned a total of $87,089 USD.